What is Knockout 2.0 by Olimp? Knockout 2.0 by Olimp is a pre-workout N.O. stimulating supplement. It is one of the best options for obtaining the necessary energy to carry out the most intense workouts whilst promoting the supply of oxygen and nutrients to the muscle thanks to an increased vasodilatation. What are the properties of Knockout 2.0? Knockout 2.0 from Olimp provides 2.1g of beta-alanine per service. Beta-alanine is an amino acid that increases carnosine levels. Carnosine is a cytoplasmatic dipeptide, made of the amino acids B-Alanine and L-Histidine which is found in high quantities in the skeleton muscle. High levels of carnosine delay the onset of fatigue (acidosis) delaying the reduction of the pH, which has been identified as one of the important factors in the appearance of fatigue and the decrease of the contractile function of the muscle. Beta-alanine is the ingredient that causes that 'tingling sensation' in the skin that is so typical of pre-workout supplements. It is a normal and harmless effect which disappears an hour after its consumption. It supplies 1.1g of L-Arginine. L-arginine is an amino acid that increases the synthesis of nitric oxide in the body. Nitric Oxide relaxes and dilates the blood vessels, which increases blood circulation towards muscles. This helps an increased amount of oxygen and nutrients reach the muscle, promoting growth and recovery. Arginine promotes the synthesis of proteins, creatine and anabolic hormones, like growth hormone. Arginine also works as a detoxifying agent, as it contributes to the elimination of metabolites that were generated while training and, along with beta-alanine, will help to neutralize lactic acid. The formula has also been enriched with citrulline, an amino acid that is precursor of nitric oxide. Helps to eliminate ammonia and nitrogen toxic metabolites, as well as delaying the onset of fatigue. In addition it includes Taurine, an amino acid that will help us to optimize our athletic performance. Taurine intervenes in the transmission of the nervous impulse. Acting as a neurologic protector at the same time as it mitigates the oxidative stress that is generated during exercise. Taurine intervenes in the detoxification process, promoting muscle regeneration and the elimination of residues that are generated while practising sport. It promotes protein synthesis, is very beneficial for muscle development and other functions that help in sport performance. One dose of Knockout 2.0 provides 200mg of caffeine. Caffeine is the best ingredient to increase nearly immediately energy levels, attention capacity and motivation. Caffeine is key to obtain a maximum performance in each workout. Cayenne extract and black pepper extract potentiates the vasodilator effects of the formula. Who can benefit from Knockout 2.0? 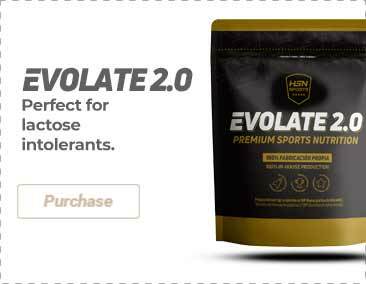 Any sportsperson who is looking for a quality pre-workout supplement that will help them to increase their energy during training, improving their strength and powder and contributing to muscle development. Beta-alanine, l-arginine hydrochloride, l-citrulline, taurine, acidity regulators (citric acid), flavors, caffeine, anticaking agent (silicon dioxide), sweeteners (acesulfame k, sucralose, cyclamates), cayenne pepper extract (Capsicum annum L) (fruit), black pepper extract (Piper nigrum L.) (fruit), colorants. As a dietary supplement, take 1/2 dispenser (6.1g) with 250ml of water 30 minutes before training. Nutritional supplements should not be used to replace a balanced diet. Do not exceed the stated recommended daily dose. Keep in a cool and dry place, out of reach of the smallest children. It contains caffeine [200mg/1 dose (6.1g)]. Not recommended for children nor pregnant or lactating women. For adults only. The consumption of this product is contraindicated for pregnant or lactating women. Consuming this product within 4 hours before going to sleep can cause difficulty to sleep. Limit the use of medicines, foods or drinks that contain caffeine while using this product. The product can become compacted, this does not affect the quality nor the effectiveness of the product.